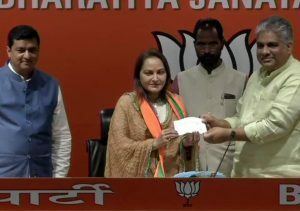 Ahead of Lok Sabha Elections, Veteran Bollywood actor Jaya Prada on Tuesday joined the Bharatiya Janata Party (BJP) in presence of senior party leaders. 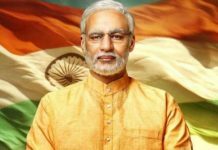 According to the sources, the party may field the actor-turned-politician from Rampur constituency. The same constituency from where Samajwadi Party (SP) has fielded Azam Khan. 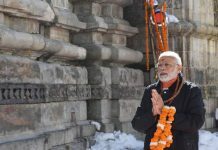 Jaya Prada had contested the 2004 Lok Sabha elections on SP’s ticket from Rampur and won the constituency by a margin of more than 85,000 votes. Jaya Prada has been a part of several political parties. She started her political journey with Telugu Desam Party (TDP) in 1994 but quit it after the differences with Andhra Pradesh Chief Minister N Chandrababu Naidu and then joined SP. In 2010, she was expelled from the SP over her alleged involvement in anti-party activities, following which she joined Rashtriya Lok Dal (RLD).